Please contact Compulab to check feasibility. 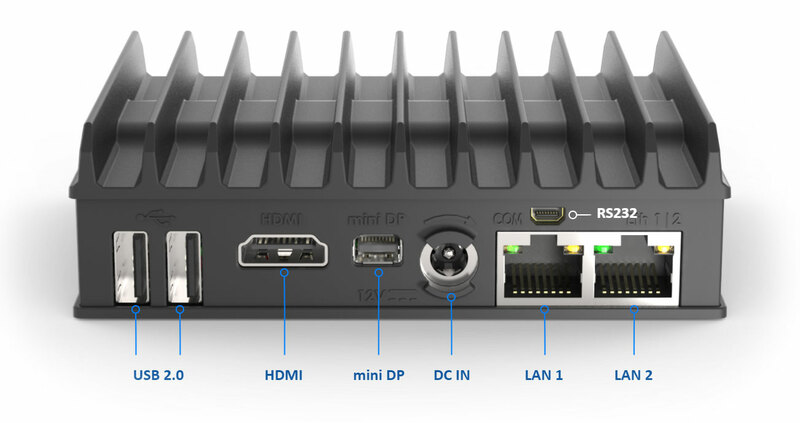 2 GbE ports on-board + 2 additional ports on optional FC-LAN FACET card. 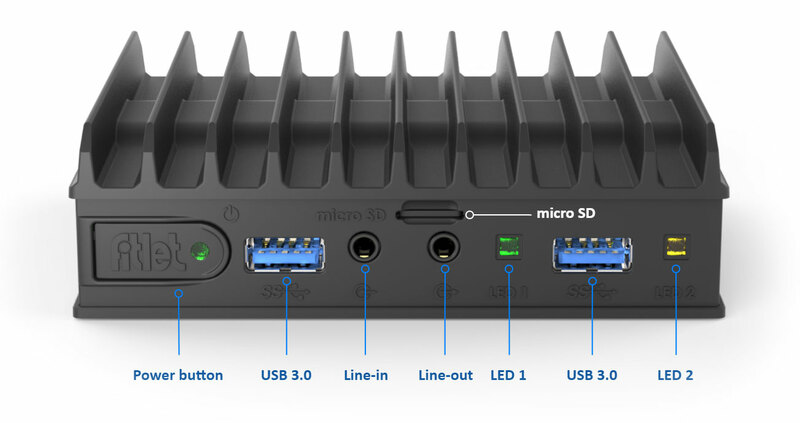 4 USB ports on-board + 4 additional ports on optional FC-4USB FACET card. 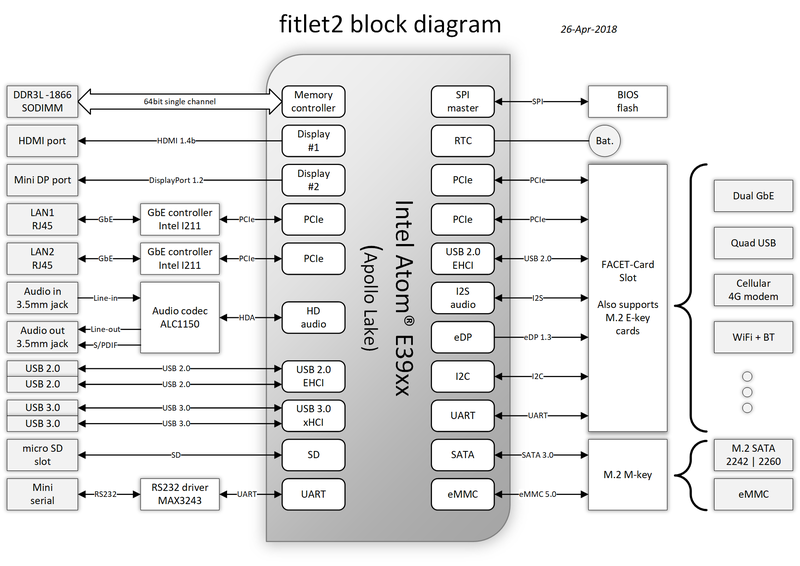 FACET Card interface includes 2x PCIe, USB, eDP 1.3 and I2C. * When ordered in industrial temperature range. Commercial and extended temperature range are also available. The power supply that ships with fitlet2 is not rated for extended temperatures. Buyer is advised to deploy fitlet2 in extended temperature with a suitable power supply. The user can easily change the housing type in the field.